Pompeo, the outgoing CIA director, will emphasize that the Trump administration considers Russia "a danger to our country." 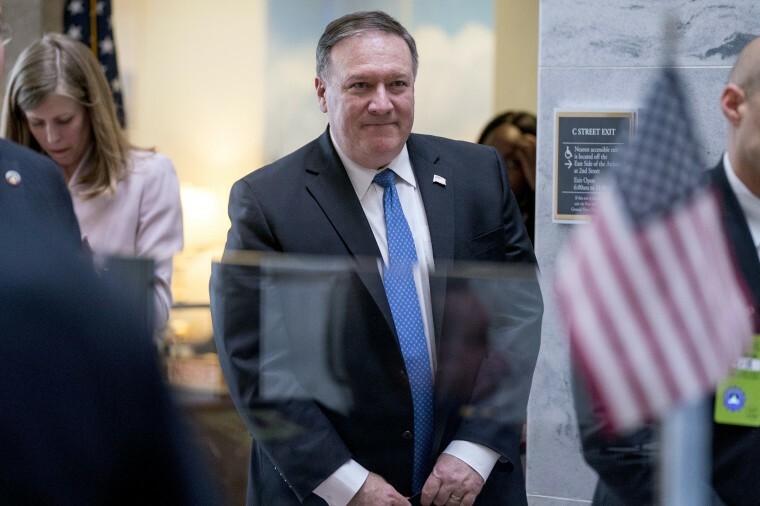 WASHINGTON — Outgoing CIA Director Mike Pompeo will tell senators weighing his confirmation as secretary of state that years of soft U.S. policy toward Russia are "now over." That's according to excerpts of his opening statement obtained by The Associated Press ahead of his Senate hearing Thursday. Pompeo will emphasize that the Trump administration considers Russia "a danger to our country." He'll say diplomatic efforts with Moscow are "challenging" but "must continue." Pompeo also plans to tell senators that if confirmed, he'll work immediately to try to negotiate a "fix" to the Iran nuclear deal. He'll draw a sharp contrast with the tenure of former Secretary of State Rex Tillerson. Pompeo will say rampant vacancies in top State Department roles were "demoralizing" and will vow to work to fill those jobs.